The type of maintenance you need for your residential or commercial HVAC system depends on the type of system you have installed. Whether you have a forced-air, hydronic or any other heating system, there are a few general maintenance guidelines that you could still follow. For example, experts recommend a biannual inspection schedule to keep your heating system in peak condition, whatever system you have. Typically, most owners schedule these visits in the fall when the temperature begins to drop and after winter when the warmer weather is about to give your heater a break. Here is a general checklist you can follow for heating system maintenance. Any good residential or commercial HVAC maintenance check starts with the thermostat. Adjustments in the thermostat must be accompanied by an appropriate response from your furnace. Begin by turning the temperature all the way up and observing if the furnace turns and remains on. If the furnace turns off after a short period (typically 3 to 5 minutes), this could mean short cycling. Short cycling could be a symptom of a simple problem, such as a thermostat needing recalibration, or it could be something more serious, such as an overheating heat exchanger. For short cycling heating systems, it’s always a good idea to have a professional come in and perform a proper diagnosis to address the problem adequately. Filters typically need replacement after 30 days. Depending on your system and your environment, you could replace them every 60 or 90 days, but never beyond that. If you’re unsure whether you need your filters changed, a monthly visual inspection can help you determine whether a new one is needed. Clogged filters function poorly and can cause a build-up of dust and dirt within your ductwork and registers. This could restrict airflow, causing your system to consume more energy for the same or less amount of heat. You can prevent this by regular inspections and even professional cleaning. Most experts agree that duct cleaning should be done at least once every two to three years. 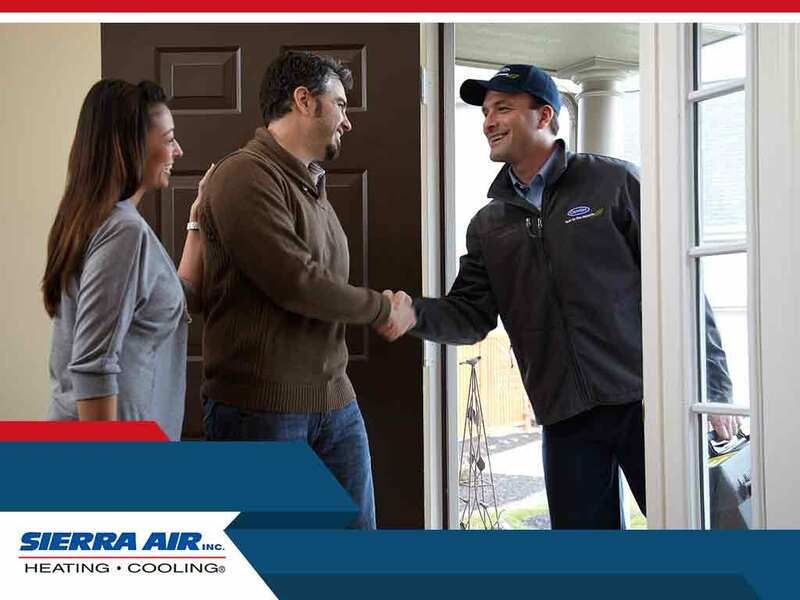 Let Sierra Air take care of your heating system, so you don’t have to worry abou it. Call us at (775) 800-5500, or use our online form to schedule an appointment today!